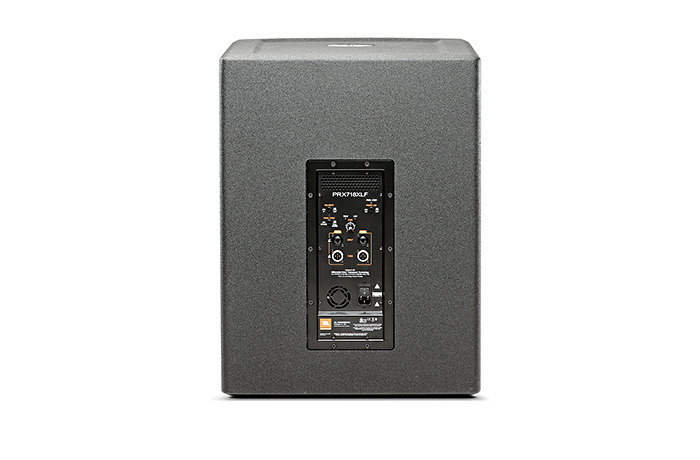 The PRX718XLF extended low frequency subwoofer was designed and engineered to provide sub bass frequencies with accuracy and power. 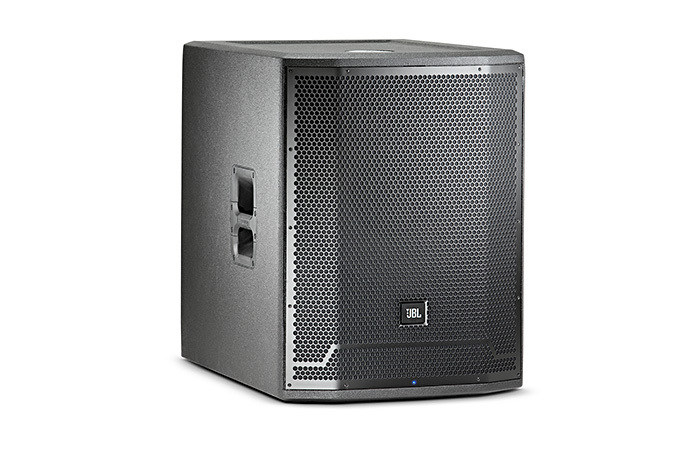 Used as a single sub in a sub/sat system or in multiples as part of a scalable, large format sound reinforcement system, the PRX718XLF performs with exceptional efficiency and control. 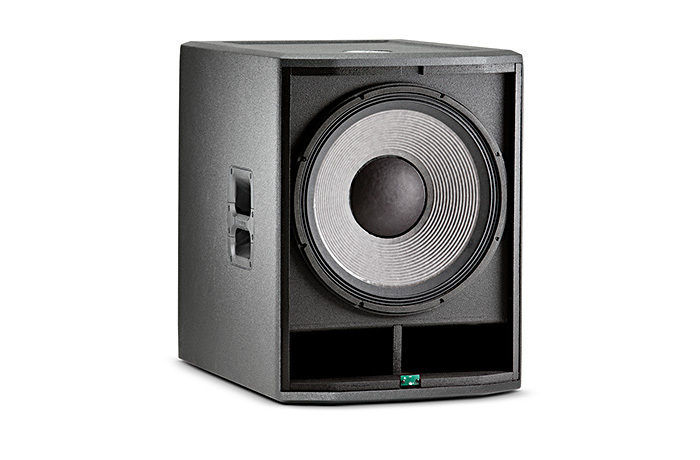 The subs are stackable and light-weight ensuring quick set-ups and tear-downs. And due to their rugged construction are perfect for AV rental inventories. With a pole receptacle (that accepts a SS4-BK or SS4-BK24) on the top panel and integrated stereo pass-thru this is the most powerful low-frequency complement to the PRX full-range systems. The addition of a polarity reverse option further enables system optimization. All PRX700 cabinets are built from a combination of 25mm (on the top and bottom for added rigidity) and 18mm, strong, light-weight poplar plywood made structurally sound with tongue and groove joints. All PRX700 Series cabinets are protected by JBL’s tour proven DuraFlex™ finish. Grilles are made from dent-resistant 16 gauge steel and handles are made from light-weight glass-filled nylon for added strength and durability.